Looking for inspiration to keep your little ones busy over the weekend? Look no further! Weekend Box Club helps to inspire creativity, exploration and ignite imaginations by providing themed activity boxes for 3 to 8 year olds. 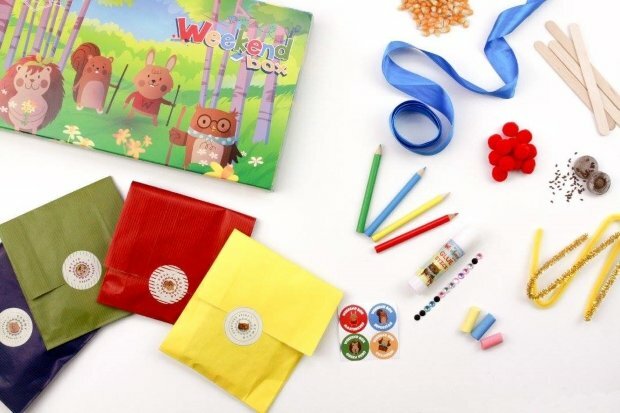 Each educational box comes with free delivery and contains a magical mix of something to make, bake, explore and more, providing quality time for you and your children. We’ve teamed up to offer The List readers and their little ones the first box for just £1 when they join the Weekend Box Club. - Get making and enjoy amazing weekends! To claim your £1 box (discounted from regular price of £8.95) simple click our specialised links and the discount will automatically be applied, sign up and let the fun begin. Offer valid for new UK customers only. Free Delivery. Cancel anytime after sign up. Check Weekend Box Club for full T&Cs.